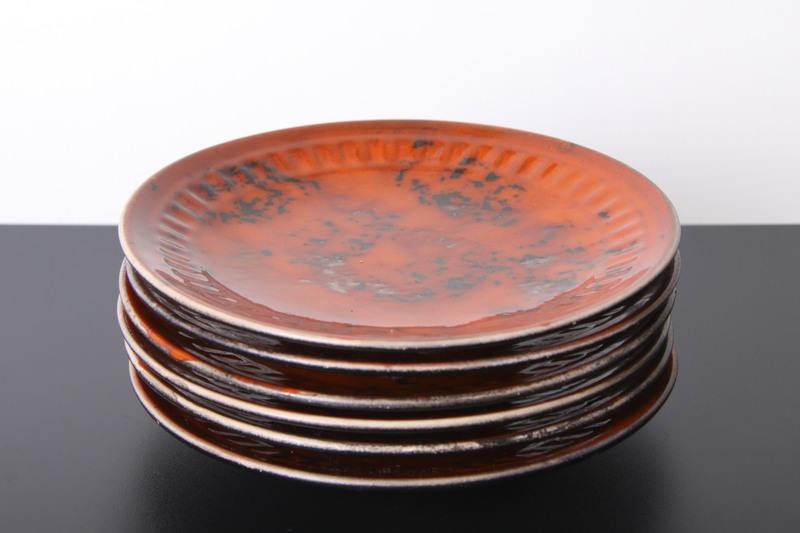 This is a Great Set of 4 Dumler & Breiden Keramik pieces, West Germany circa 1960’s. 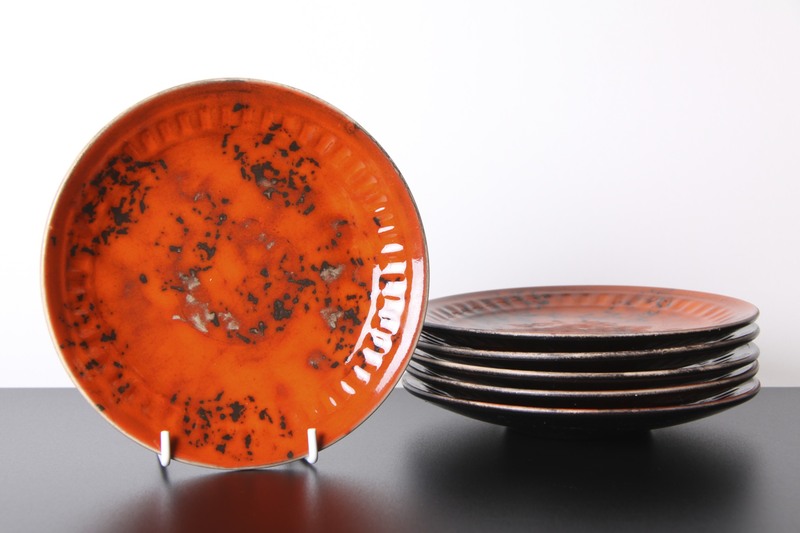 Beautiful Mid Century style design from this renowned West German pottery of high quality wares and ‘Fat Lava’ pieces. The decor is influenced by abstract Cubist patterns and with the terracotta glaze has a natural classic look, coupled with the simple curved forms. 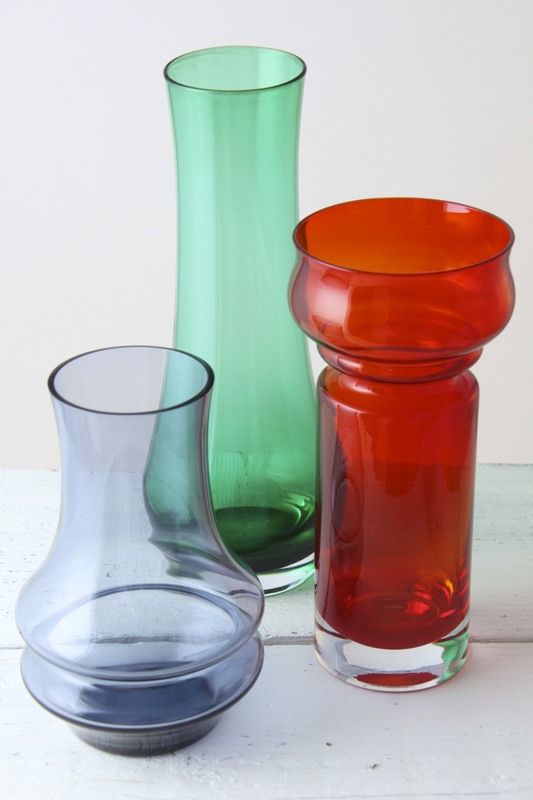 The two small bud vases are elegantly curved, one slender with a flared rim, the other short and bulbous. 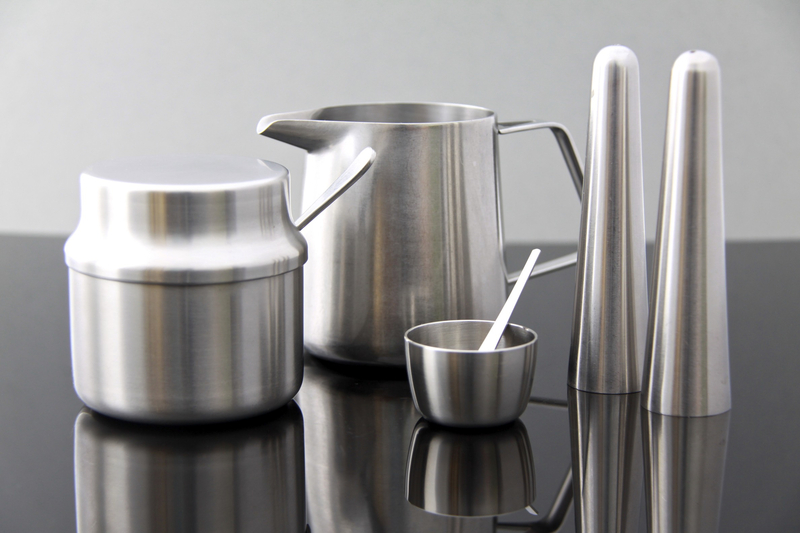 The two shallow bowls / dishes have gently sloping sides, one has a pointed end, suggesting a handle. A Stunning little collection, the forms complement each other beautifully and the simple zig zag painted motifs in white, blue and yellow add a nice retro touch. In Excellent Condition, no marks, chips or scratches on the pieces. Marks to the base vary on each piece and are indistinct impressed or hand inscribed, the short vase is most clearly numbered 979, all marks are shown in the base photo. 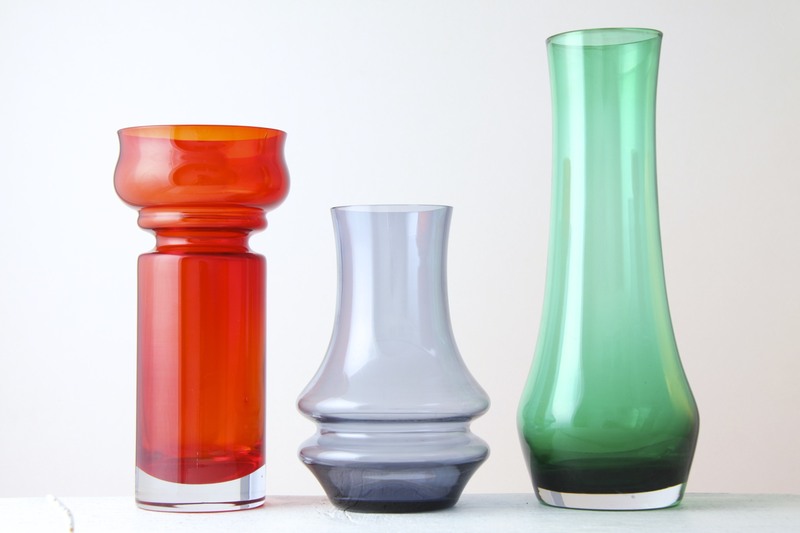 Slender vase 11 x 4.5 x 4.5 / 4.5 x 1.75 x 1.75in. Bulbous vase 7 x 9 x 9cm / 2.75 x 3.5 x 3.5in. Lozenge shaped bowl 3 x 14 x 10cm / 1.25 x 5.5 x 4in. Handled bowl 3.5 x 13.5 x 12.5cm / 1.5 x 5.5 x 5in. 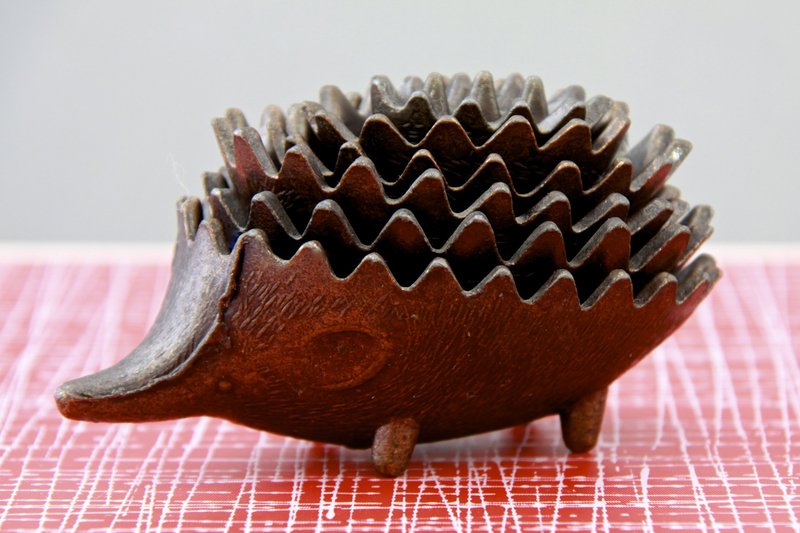 Contrasting vintage hedgehogs, the dark metal Walter Bosse style set of 6 stacking small ashtrays is a beautiful and ingenious design and a real mid century classic. 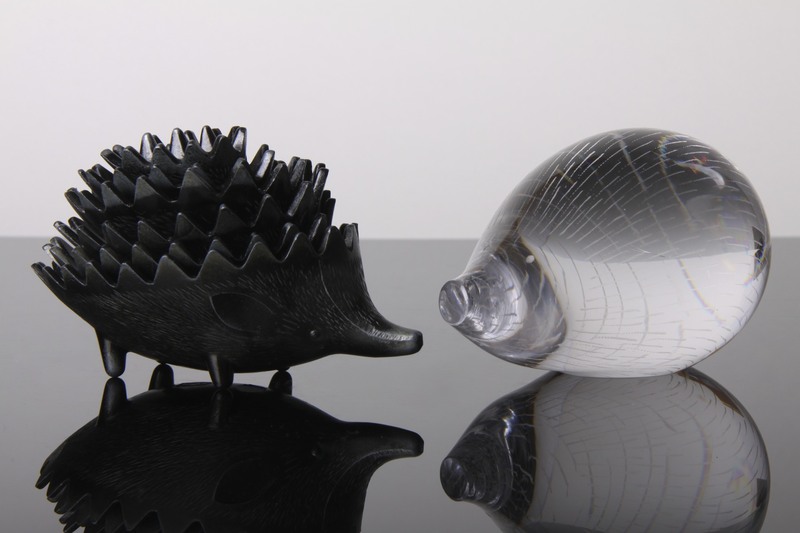 The Kosta Boda clear glass paperweight, designed by Vicke Lindstrand exemplifies the minimal Scandinavian aesthetic, a simple form with etched spines. 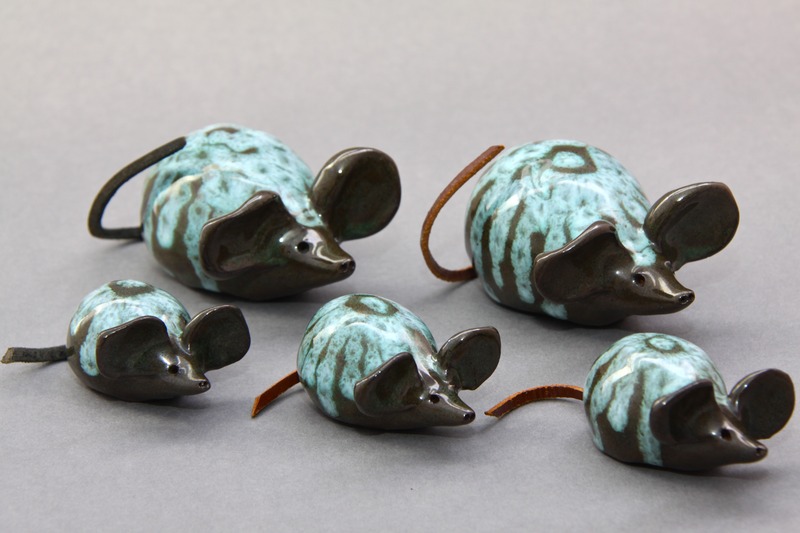 Vintage woodland animals to add some nature inspired retro style to any interior this autumn.